Charlotte Pass Snow Resort has a range of exciting new facilities and programs on offer for the 2016 season. Regional Express (REX) has released additional winter services between Sydney and the Snowy Mountains between 10 June and 2 October, 2016. For the full media release and schedule click here. 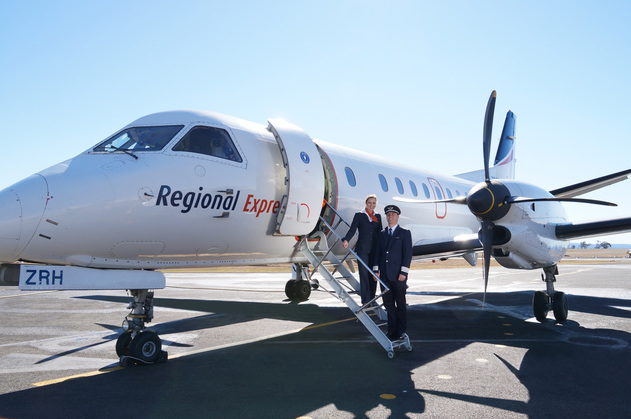 Regional Express (Rex), in partnership with Snowy Mountains Airport Corporation Pty Ltd (SMAC), has announced that it will commence Regular Public Transport (RPT) services between Sydney and the Snowy Mountains (Cooma) in March 2016. Services will commence from Wednesday 23 March 2016 for the Easter period, with the core schedule of five return services per week commencing from Sunday 27 March 2016. Additional services on Fridays, Saturdays, Sundays and Mondays will operate through the ski season. More here. Celebrate Christmas in July at Charlotte Pass Snow Resort. The resort will be decorated with tinsel and Christmas trees as we celebrate a white Christmas in July. Events and activities include snowman building competition, best decorated lodge/department, snow photos with Santa and Christmas dinner served in Arches Restaurant. Get into the Christmas spirit and belt out some of your favourite carols. pistes we will use our innovative grooming approach to enhance existing natural features such as “roll overs” or “natural drops”. So if you want to explore our mountain and still enjoy a little air under your feet, be on the lookout for our new Enhanced Natural Terrain features during the 2016 season. In 2016 we will be introducing 1.5 hour private lessons in place of the 1 hour private lesson. We can tailor your lesson to focus on a particular aspect of your technique you would like to improve (ie: racing, terrain parks).